Safer road infrastructure is one of the strategic objectives of the European Commission (EC) through safer roads. Another concern of the EC is the use of sustainable solutions with respect to Green Public Procurement concept. 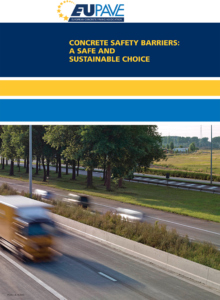 Concrete safety barriers give answer to both issues of road safety and sustainability.